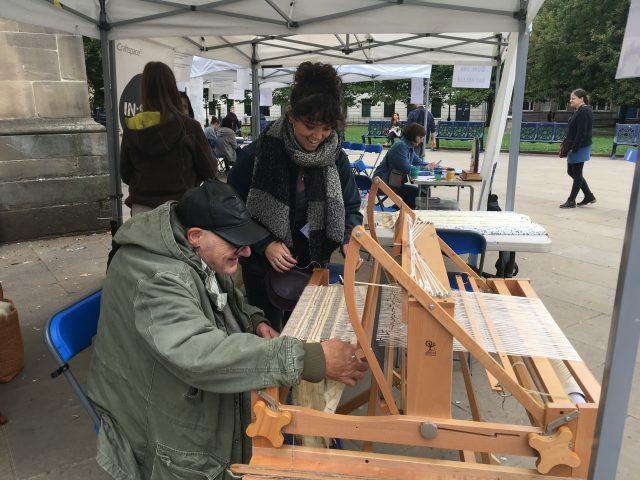 Despite the rain, the artists remained positive and the public interested in all the activities! 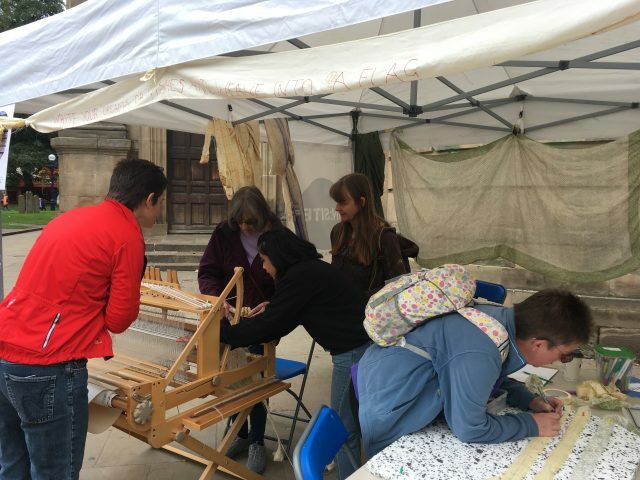 Today the artists were encouraging the public to take part in weaving, mono-printing and jewellery making techniques. 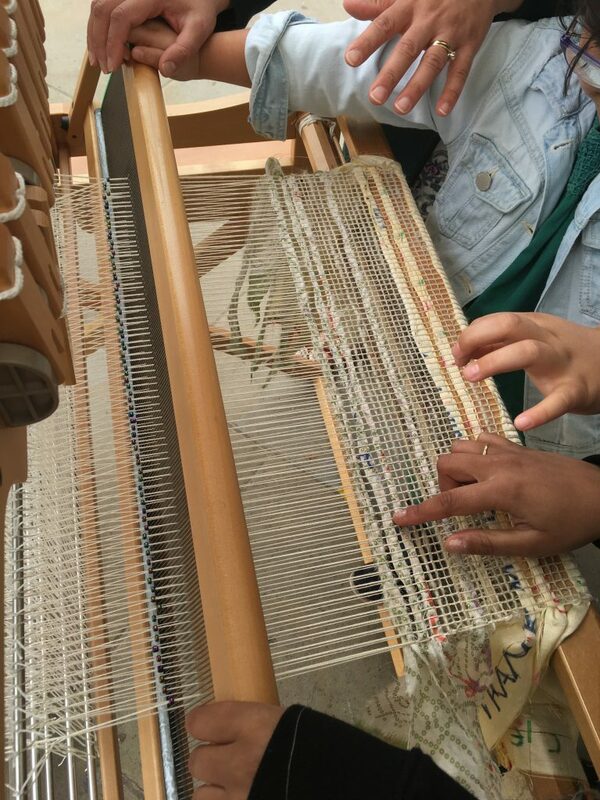 Dawn studied Contemporary Constructed Textiles at Bradford College. 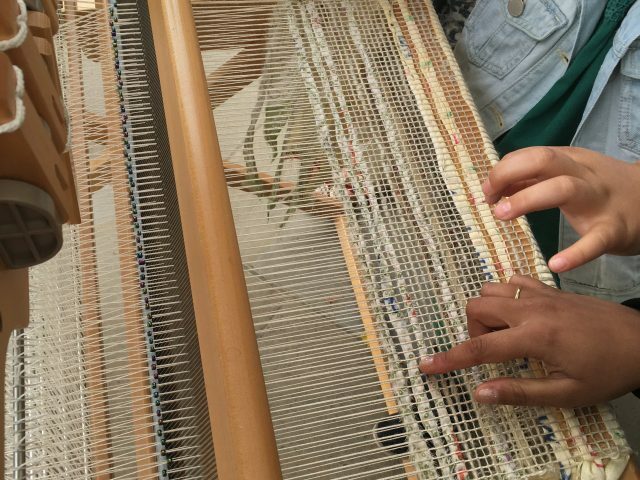 She has a strong interest in heritage crafts and brought a spinning wheel and weaving loom with her to In:Site. 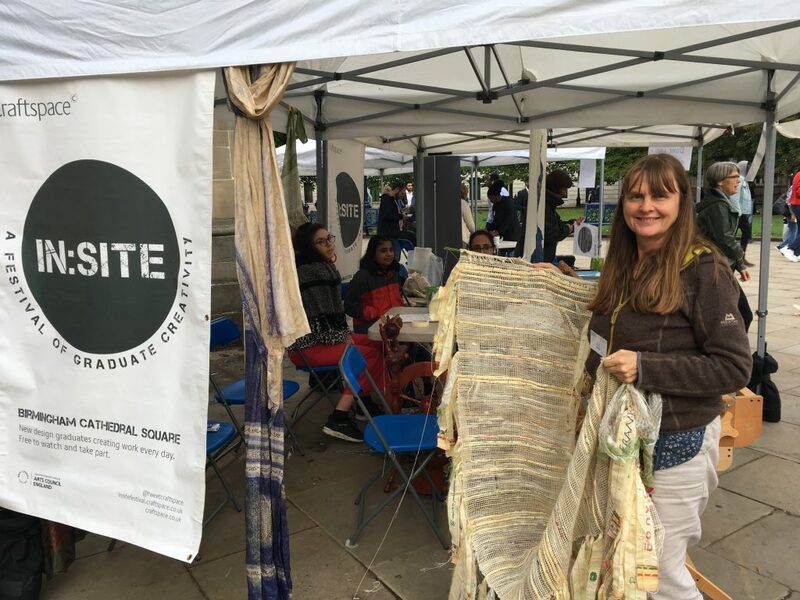 The public were invited to write their hopes for the future on strips of recycled sari silk which they could then weave into the flag that was reminiscent of prayer flags. Alongside the strips of sari silk Dawn wove into the flag hand spun fleece from a white face woodland sheep, which won a prize for its fleece at the Great Yorkshire Show. There was great interest in the loom and spinning wheel with many passersby excited to have a go at weaving for the first time! Find out more about Dawn’s practice on her website. 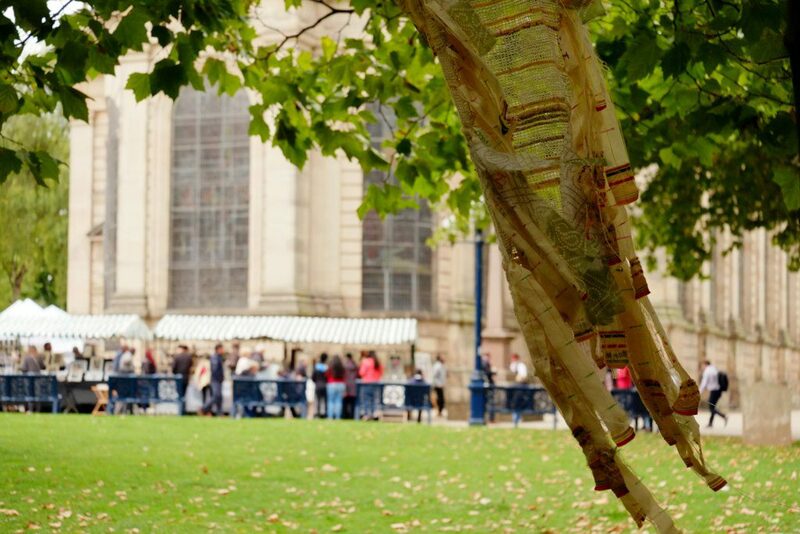 Naomi is jeweller who recently graduated with a MA from the School of Jewellery, Birmingham City University. 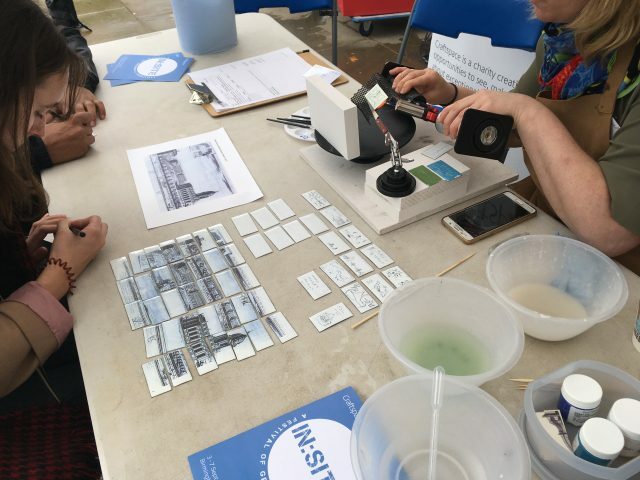 At In:Site Naomi explored the history and contemporary uses of Cathedral Square and asked the public, ‘What does Cathedral Square mean to you?’. 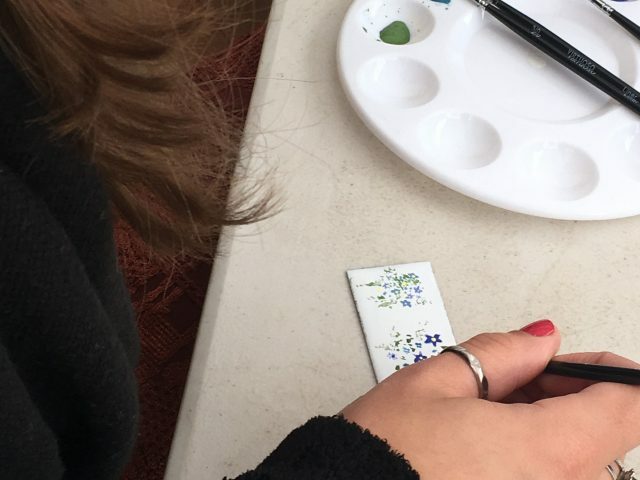 They could add their responses to an enamel tile using graphite pencils or colourful glazes. 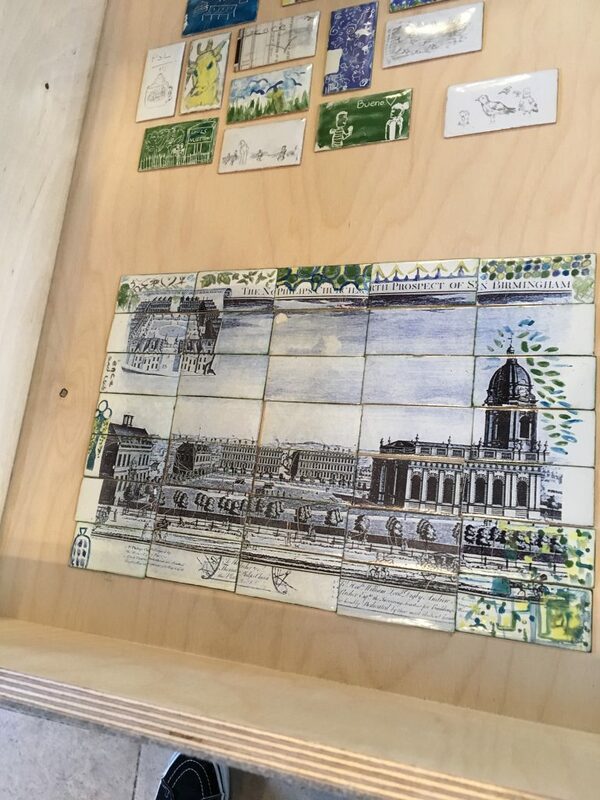 Naomi also used decals to create a tiled response to the history of the space. 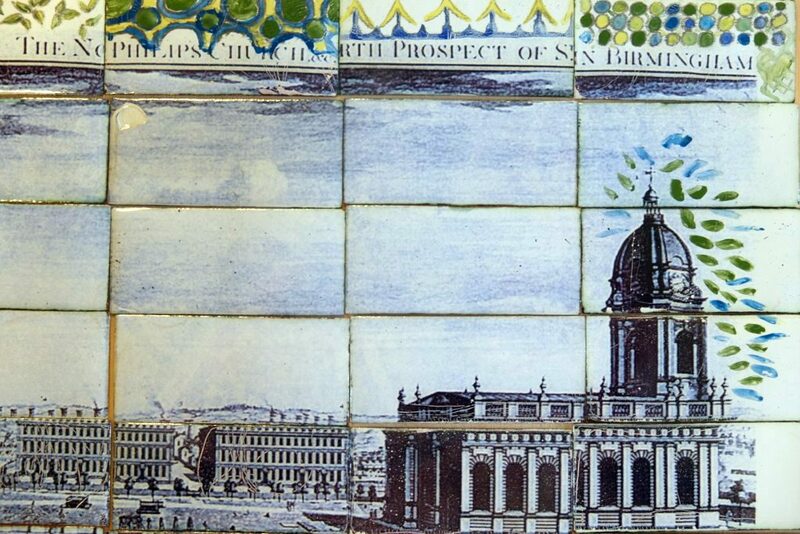 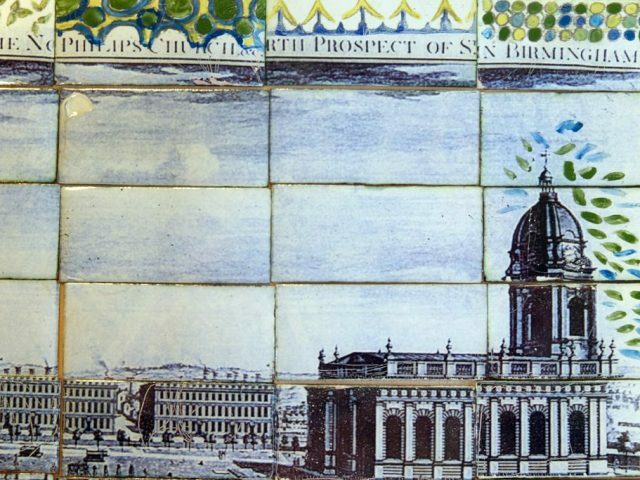 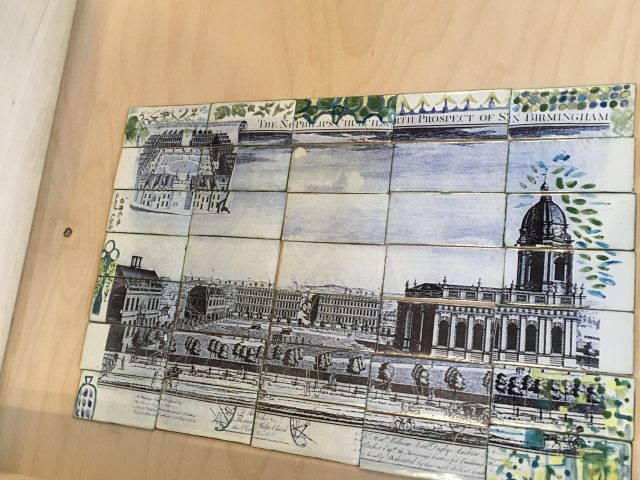 She layered some of the public’s tiles with decals, fired them and they were displayed in the Cathedral. 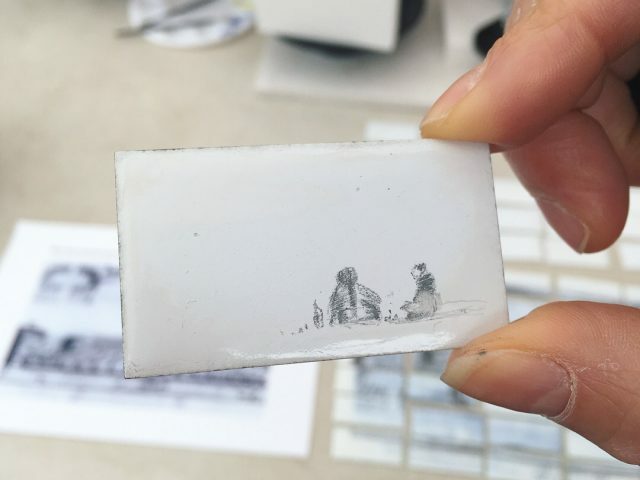 To see more about Naomi’s jewellery practice visit her Instagram page. 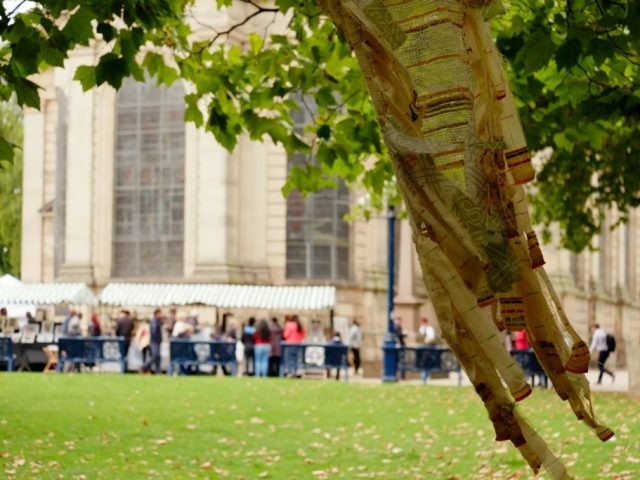 Emma graduated with a MA Design (Illustration) from Sheffield Hallam University. 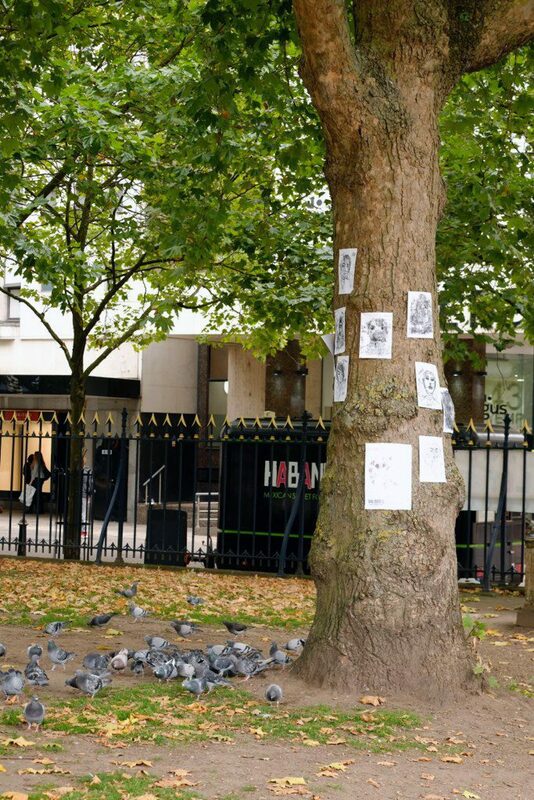 She was interested in creating art works that reflected the diverse audience passing through the Square. 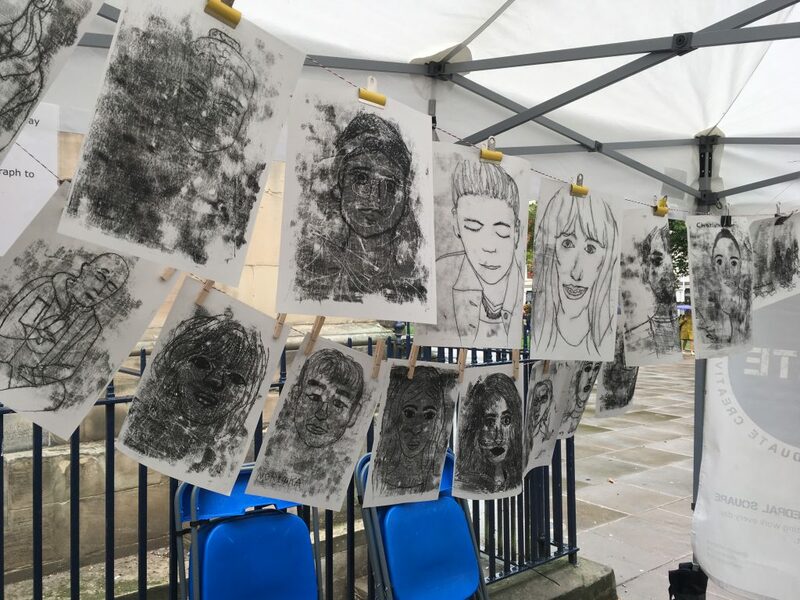 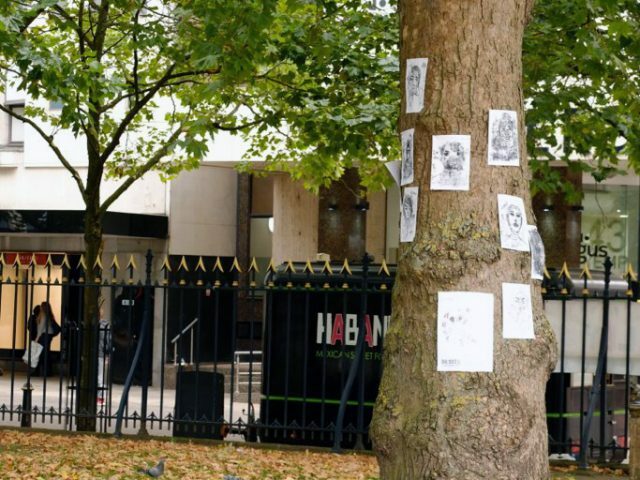 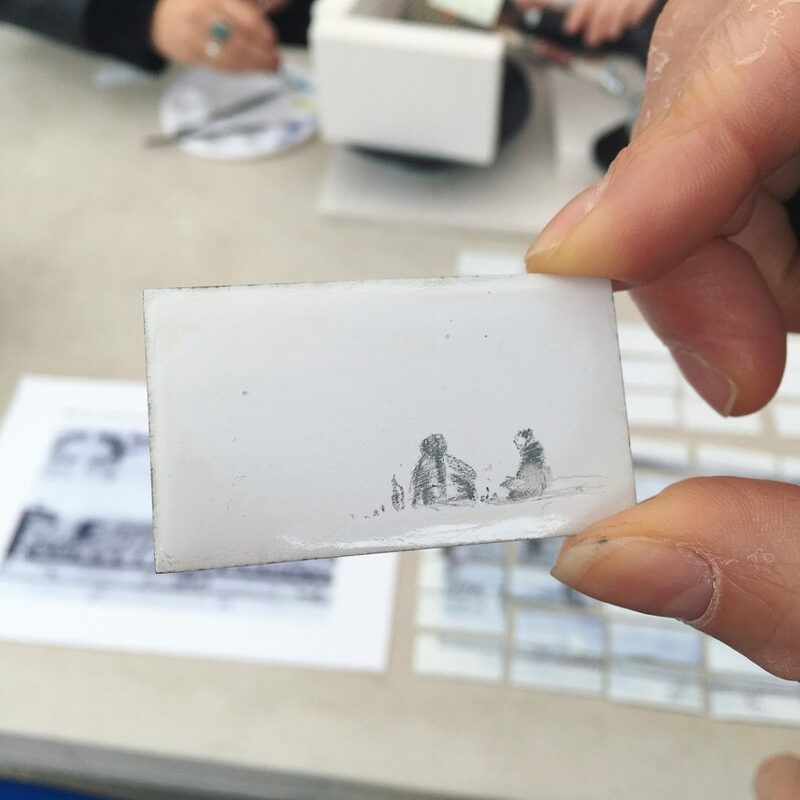 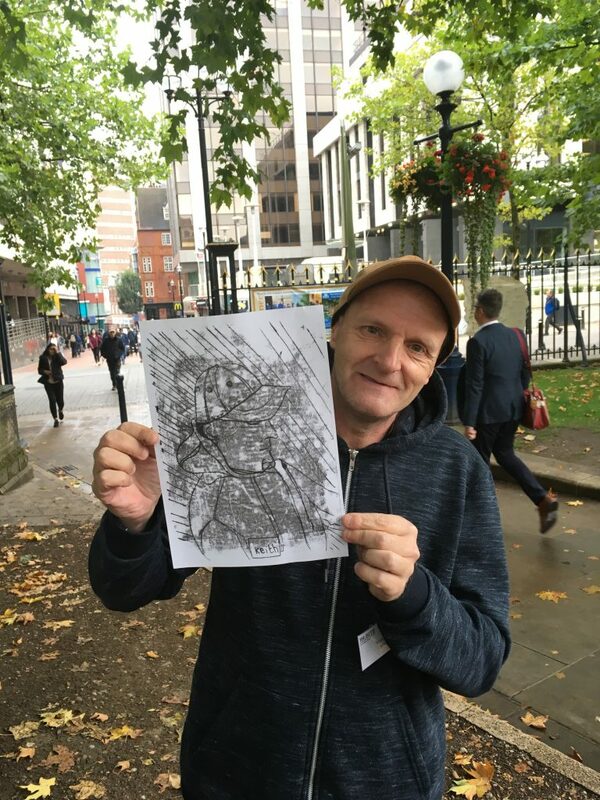 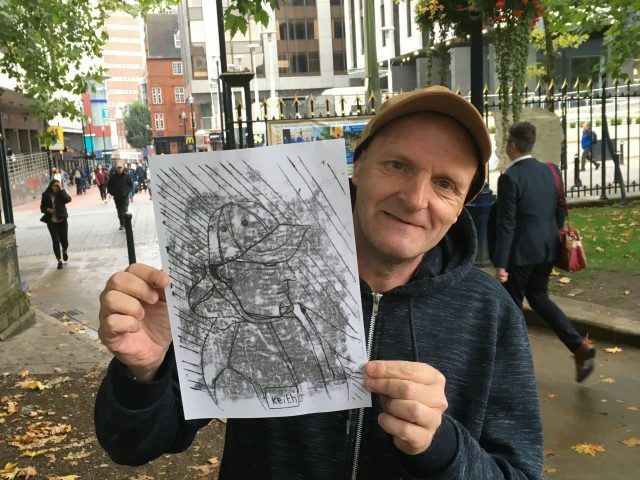 Passersby were invited to sit and draw each other’s portraits using a mono-printing technique, and it was great to see how this encounter sparked positive conversations between strangers. 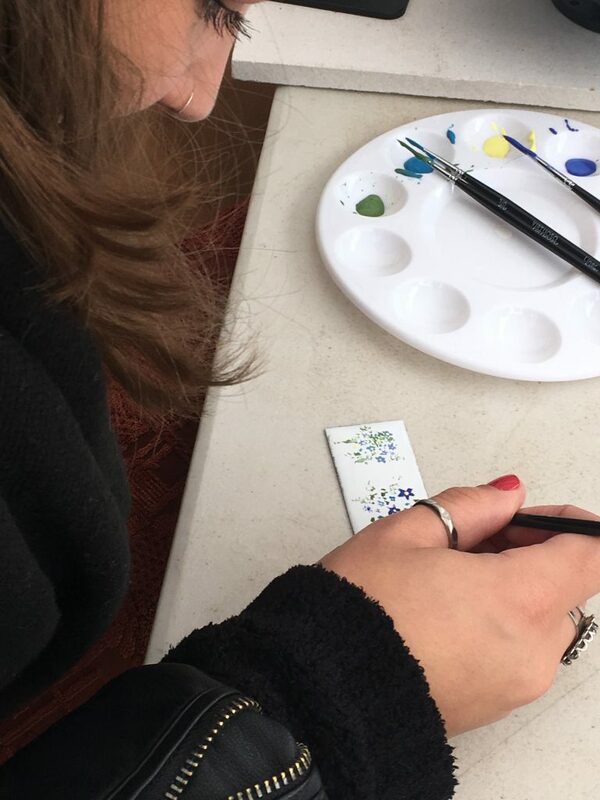 Learn more about Emma’s work on her Instagram page.